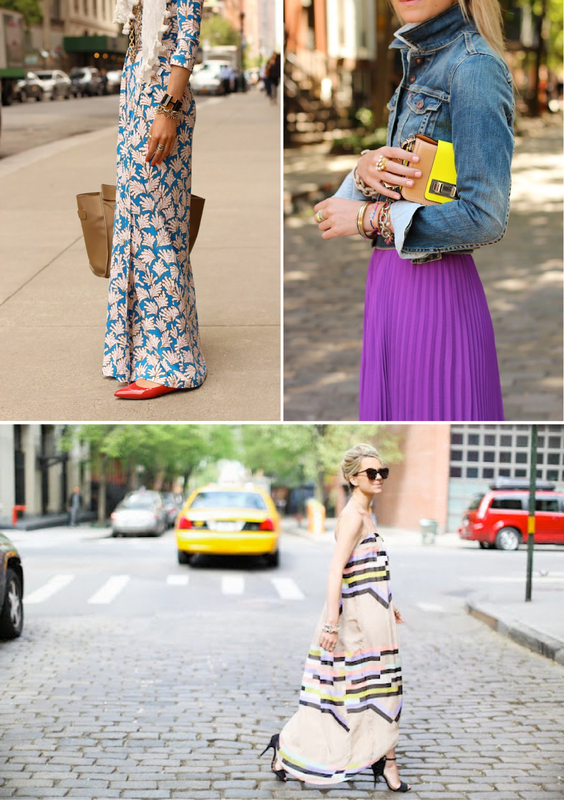 Look One Maxi: Diane Von Furstenberg (sample sale score). Flats: Banana Republic (old but similar here) . Scarf: Old Navy (old but similar here). Necklace: Saks 5th Avenue (old). Bag: Celine. Sunglasses: Karen Walker ‘Number One’. Jewelry: David Yurman, Stella&Dot, Hermes, Pomellato, Jcrew. Look Two Jacket: Levi’s. Chambray Shirt: Jcrew Factory Dress. Skirt: Alice + Olivia last seen here (similar here and here). Shoes: Zara (old). Purse: thanks to Rebecca Minkoff. Sunglasses: Karen Walker. Jewels: YSL, Jcrew, Anthro, GAP. Look Three Dress: Tibi (also obsessed with this one and this one in this print). Shoes: Zara (current). Purse: Celine. Jacket: Zara (old). Sunglasses: Karen Walker. Pouch: Proenza Schouler c/o. Jewels: Michele Watch, JewelMint XO rings, Turquoise Coach Rings, Pomellato, Jcrew pave bracelet, David Yurman. Necklaces: Max&Chloe and Albeit Jewelry ‘B’ necklace c/o. Nails: POP ‘Mint Magic’ and Essie ‘Lilacism’. This entry was posted in © the atlas & the oyster and tagged Atlantic-Pacific, Banana Republic, beauty, Blair Eadie, bloggers, chambray shirt, david yurman, design, Diane Von Furstenberg, DVF, fashion, images, inspiration, Jcrew, JewelMint, Levi's, links, maxi dress, photography, Rebecca Minkoff, saks 5th avenue, style, Tibi, tips, window shopping by theatlasandtheoyster. Bookmark the permalink.